The customer is not always right. $481M says so. Everyone hates baggage fees. It’s a crime airlines don’t listen and let you stow aboard luggage for free, as much as you want, right? 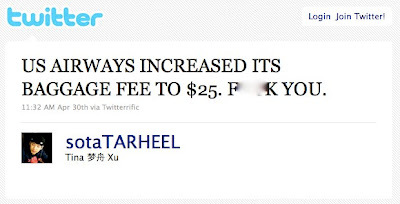 In case you missed it, the airline industry is a tough business. One of the few bright spots helping them stay afloat in the 2009 recession was baggage fees, which drove $2.7 billion in extra passenger revenue to U.S. airlines. Delta came out on top with $481.8 million from such fees — a vital solution, since at year’s end Delta still bottomed with a net loss of $1.2 billion. Without the added charges, Delta’s loss would have been 39% higher. 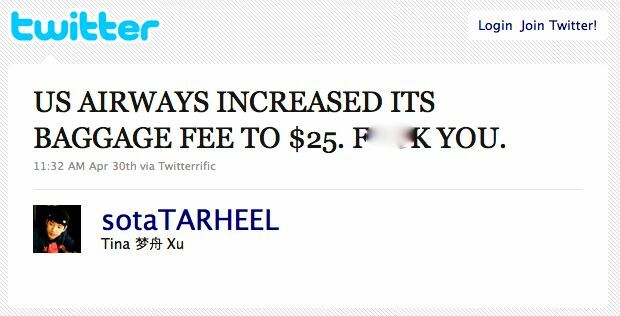 Sure, customers say they hate fees … but imagine the alternative. If Delta didn’t hide charges until you got to the airport, it would have to raise its ticket prices 2% across the board — about $10 on a $500 flight. And you, dear savvy consumer, planning your trip at Expedia or Travelocity or Kayak.com, would likely click on the nearest Delta competitor flight to Austin to save $10 in your rapid-fire, e-commerce fueled impulse decision. Because when you’re shopping, you want the best deal, brand loyalty be damned. Run the math, and the 1-2% of customers who really take enough offense at baggage fee surcharges that they would not come back are offset by the 10-20% of air flights that Delta would lose if it had to make all its passenger fees completely visible on aggregator travel sites, a click away from lower-priced competition. Disguising fees to make front-end purchase decisions easier is nothing new: your cell phone, cable company, magazine subscriptions, and even children give you low starter costs that hide whopping fee increases later. The customer has strong opinions, and businesses should listen. But believe us when we say again, the customer is not always right. Smashing guitars on the tarmac? United, call Radian6. Here’s one more reason why your business should monitor social media. Musician Dave Carroll watched in horror from his plane window while luggage guys on the tarmac broke his $3,500 guitar. So he posted a musical to YouTube yesterday spilling the beans on United; the video already has 15,000 views and is trending fast. The most interesting stat: the YouTube video has spawned 950 comments, most with similar angry stories about airlines customer service. As Darryl Ohrt notes, this is not the kind of viral any business plans for. 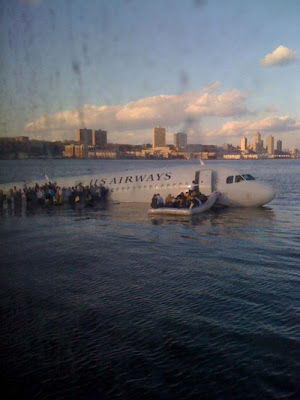 Yesterday afternoon we saw this photo of US Airways Airbus A320 floating in the Hudson River and were mesmerized, upset, strangely euphoric. We saw it again this morning and thought, hm, already know that story. Reviewing it this afternoon we thought, ugh, the composition is horrible — and that cell phone camera has lousy resolution. What a crappy photo. Why does the value of this image decay over time? Why is “news” more powerful when recent? Bill Green has a nice rant today about the rush for consumers to become reporters via Twitter, even if it leads to inaccuracy, with mainstream media reflowing the reports to get as close as possible to the actual moment of the news event. A picture of a bird being sucked into an engine would be powerful, but 1,000 times more so if posted online only seconds after the plane hit it. Robin Le Poidevin of Leeds University wrote a few years back that human perception of time may be an actual sixth sense; even if your eyes and ears were shuttered, you’d still note the passage of time by the simple thoughts flowing in your head. He wrote “perception of temporal duration is crucially bound up with memory” — that is, your memory acts like a radioactive particle decaying slowly into the past. With every passing hour, your experience of the world moves from colorful reality to grainy, black-and-white ghosts. Humans judge sensory input in context — so the closer something happens to now, the more powerful it seems because it is associated with all the recent, still-vivid memories flooding your mind. Our brains, of course, quickly forget things, even those that we manage to transition to long-term memory … so as our mental context to judge events degrades, we may devalue the events that happened next to them on the same mental clock. A kiss this instant is exciting. A minute ago it’s a warm memory. A decade ago and the event dissolves into a story in some dry novel, barely worth a revisit. Perhaps our modern itch to quicken the pace of news reports is more than media frenzies or technology enablers, but instead tied to evolution, the fact that what happens at this exact second — or close to it — may swing our survival. An inbound storm, a report of lions in the savanna, word that the clan next door is preparing for war are all threats our ancestors met and survived to pass their genes down to us. So we watch what happens close to us in our random location on the spectrum of time. This explains why you throw out old magazines, even if you haven’t read them, or why grainy photos from amateur cell phones make Page 1 in national newspapers. We care about what is close, not distant, and that includes the vast fading spectrum of time. U.S. airlines’ fuel bills will soar $20 billion dollars this year and they’re passing costs on to travelers every which way. So let’s all thank Sojern, a clever company, for opening a new frontier of advertising on boarding passes. This is such a no-brainer we’re surprised no one has thought of it before. About 250 million boarding passes are printed from computers each year, and until now have been blank slates. Sojern’s ads appear both on the computer screen (where consumers can click through) and in printed form, and include updated weather and timely coupons to minimize the grousing from fliers who may not like advertising clutter. And the target demo is sweet. On Delta, for example, 64% of fliers have household incomes above $75,000, 62% are working professionals, and about 20% are executives. We see affluence, flying your way. Maybe it’s time to let your customers personalize their own experience. Fallon Planning wrote recently about the new traveler check-in process at Orlando Airport, in which travelers choose from one of three lines — expert, casual, or family travelers — for different experiences. As you’d expect, expert travelers are people with small carry-on bags who whisk themselves through the metal detectors with no change in their pockets. On the other end, families struggle with many bags and crying kids. 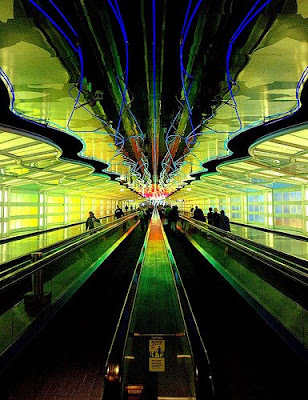 Yet, bizarrely, this process — which was suggested to the Transportation Security Administration by focus groups — has streamlined check-in as travelers perceive more control over the experience. Which is all brilliant, because the TSA has pushed personalization into the control of the consumer, not computers. Back in the 1990s, the idea of personalization and 1to1 marketing was almost arrogant, in that companies assumed they could analyze your data and then use fancy “business rules” to give you the perfect, next-best offer. The idea had its roots in airline seating (high-value business up front, schmucks in the back) and financial services (if you’re investing a cool mil, your broker returns your calls). Different customers would be treated differently, but only based on predictive modeling. The Holy Grail of personalization broke down because (a) it’s really hard to understand the actual future financial value and potential needs of all your customers, (b) mass-customizing a response is almost always cost prohibitive, and (c) the theory never really translated into a competitive advantage. Personalization is only one of the value factors that consumers perceive. Brands, design, financial cost, opportunity cost, competitor entries, what your spouse will think … all of these make personalization just one push toward the purchase. So, Netflix, Amazon, and all you other collaborative filtering tell-us-what-we-want recommendation systems: We love the kindness. But sometimes, maybe you can just ask us what we’d like instead. 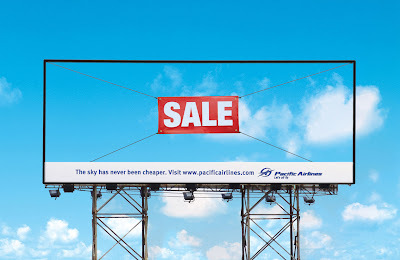 Or, if economics isn’t your thing, you could always try brilliant billboard creative. By Saatchi & Saatchi, Vietnam, via Ads of the World. Stunning animation by Pierrette Diaz, Mathieu Elkaim and Yoann Lemoine of DDB, Paris, France. Maybe American could try something like this to offload the heat on its $15 baggage fees. Spirit Airlines is a Fort Lauderdale-based “ultra low cost carrier” offering plane tickets to the Caribbean for as little as $34. This should appeal to the younger demos … especially guys who like M.I.L.F.s. Speaking of communication design, Delta’s flirty new in-flight safety video follows the psychological rules of human attraction. You see, people the world over use certain expressions to arouse desire. Women smile, lift their eyebrows, and gaze directly at you, and then look down and away to hint at shyness. (See woman in seat at video second :32. Really, we don’t make this up.) Men take a different approach; to signal strength, they lean back in their chairs and stick their chests out, like the captain here at the Delta helm. In fact, chest puffery is found across nature — snakes, frogs and toads also inflate their bodies to demand attention. Which brings us back to how good creative captures attention, say, among passengers stressed out that their plane may come to a sudden stop against a mountain. Delta’s little vignette grabs consumers with basic cues — full lips, flirtatious hand waves, and lots of eye contact. We’ll remember that as we hug a seat cushion to our chest and jump out the exit. Pricing is a strange and complex beast. 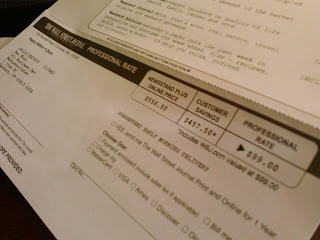 We just got an offer from Wall Street Journal to subscribe for $99.00 — 82.2% off the regular street price of $556.50. Wow! Except we have to wonder, (a) does anyone really pay that inflated $556 price, and (b) if no one does, then doesn’t this entire deal smell like BS? When marketers charge different amounts for the same thing, it’s called price discrimination. That sounds bad, but it’s really a technical term for a common pricing approach. If you think about it, it makes sense. If you buy an airline ticket “on sale,” someone else paid more for the same type of seat on the same plane. Grocery store coupons are another form of price discrimination — people who aren’t penny pinchers pay $0.99 for a can of beans, while the thrifty who bring in a coupon spend $0.79 for the same can. The supermarket just got two people to pay different amounts. Price discrimination is common in service industries (such as subscriptions where resale is unlikely) or in markets were customers or the goods themselves have greatly differing value (think luxury hotels, concert seats, airline accommodations). It can even be a form of branding. A Starbucks latte is just burnt coffee and milk. There are three ways marketers make price discrimination work. 1. First-degree price discrimination, in which each customer pays a different price. 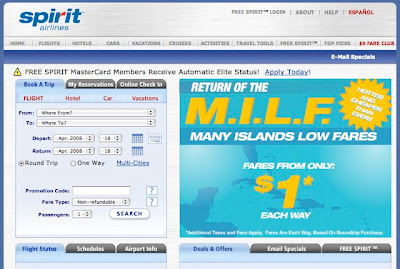 Airline tickets come close to this model. 2. Second-degree, in which price varies by quantity sold. Think bulk toilet paper at Costco. 3. Third-degree, where customer segments drive differences. Ah, that brings us back to The Wall Street Journal. We used to subscribe, for about 3 years, then quit. WSJ wants us back. So they’ve sweetened the offer, like a bad husband courting his spurned spouse with flowers, with a $457 “discount.” Great! But next year, what happens when we enter the Year 2 Customer Model … will prices creep up? Could be. We shopped around for a year WSJ subscription and found the same $99 offer on the web site. But if you call 1-800-JOURNAL, the friendly sales rep will sell you the same 52 weeks for $249. We’re not sure what re-subscription rates cost. $556.50 perhaps? The point for marketers is that price strategy is part of the “value perception” of your product. By setting reference prices, and then discounting, you make the deal seem better. By adjusting pricing to different segments, you can pull new accounts in while increasing overall profitability. Just be sure it’s fair and legal, or you’ll end up in the pages of The Wall Street Journal.